Older people are more likely to take medical risks than younger adults if they perceive the benefits to be high enough, according to new research led by Plymouth University. Yaniv Hanoch, Professor of Decision Science, said that the findings of the study Does Medical Risk-Perception and Risk-Taking Change with Age? challenge the traditional view of older people being risk averse. The study, carried out alongside Jonathan J. Rolison of the University of Essex, and Alexandra M. Freund of the University of Zurich, involved 317 adults, ages 20 to 77, comparing decisions among different age groups about risky medical treatments, such as vaccines and chemotherapy. The authors gave the participants four different scenarios to read, and Professor Hanoch explains: “Increasing age was associated with a higher likelihood of passive risk taking, whereby older adults avoided options, such as accepting a treatment or vaccine, that could lower their chance of dying. In the study’s first two scenarios, participants were asked to imagine that their local area had been sealed off due to a highly contagious and deadly flu – which would kill 10 in 100 people. 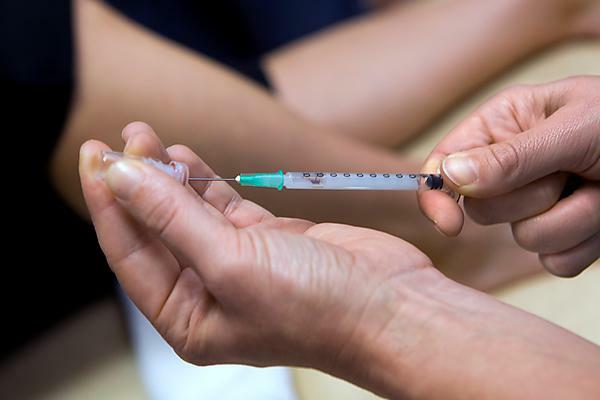 They were then asked whether they would take the risk of getting a preventative vaccine which, although effective in 95 per cent of cases, brought with it a 5 per cent chance of dying. After reading the scenarios, participants indicated whether they would accept the vaccine for themselves (Scenario 1) or have the vaccine administered to their child (Scenario 2). A similar design was followed for Scenarios 3 and 4, but the participants were asked to imagine that either they (Scenario 3) or their child (Scenario 4) had been diagnosed with a deadly, slow-growing cancer. The study also used a psychological measurement instrument, the Domain-Specific Risk-Taking Scale – Medical (DOSPERT-M) to gauge whether a participant would ‘immediately go to the doctor’s when something in my body is aching or bothering me’. The DOSPERT-M recorded responses on a seven-point scale ranging from one (very unlikely) to seven (very likely). Results showed that if a participant expected greater benefits they would be more willing to take a risk. Conversely, if they perceived higher risks, they would be less likely to take the risk. “Our data revealed no age-related differences in medical risk-taking tendencies, which stands in contrast to the prevailing notion that older adults are more risk averse than younger ones. Taken together, our study provides important insights about changes in medical risk taking across adulthood when people face an increasing number of complex and risky medical decisions. The complete study is available in Risk Analysis, an international publication for the Society for Risk Analysis: doi 10.1111/risa.12692.